OPEN: 08:00 am to 18:00 pm everyday. Restore your mind and body with two relaxing treatments − a 30-minute traditional North African head, neck, and shoulder massage; and a 30-minute Royal African foot massage with cleaning ritual and exfoliation. These two treatments are complemented by a cup of tea and a delicious slice of cake. R499 per person. 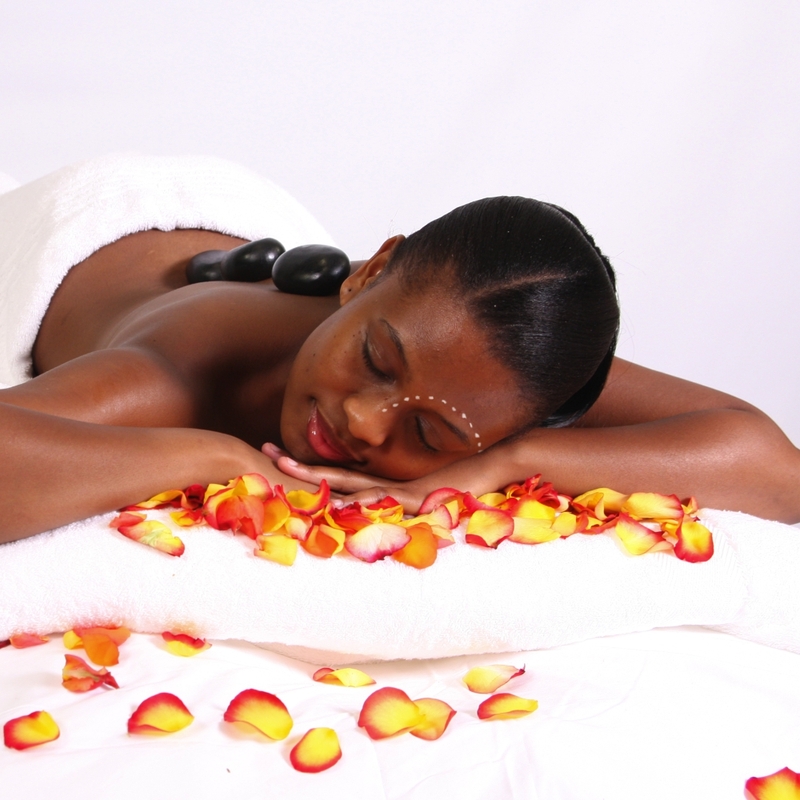 Experience ultimate tranquillity by allowing our healing hands to rejuvenate your body and mind. This magical spa pamper includes tea and cake plus two treatments. 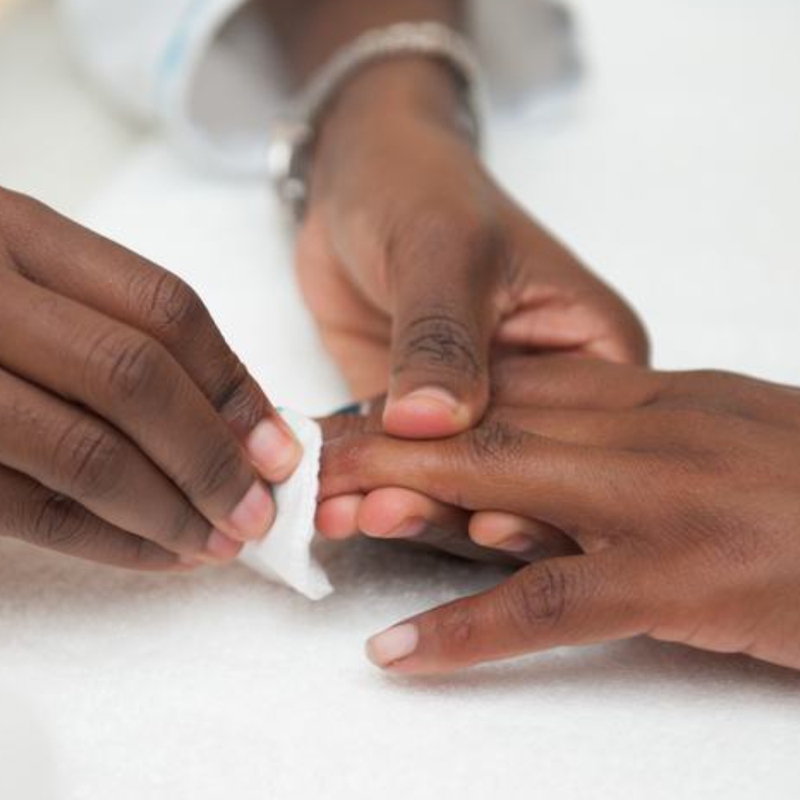 A 30-minute Royal African foot massage, and a 60-minute traditional African full body massage with hot stones. R820 per person. 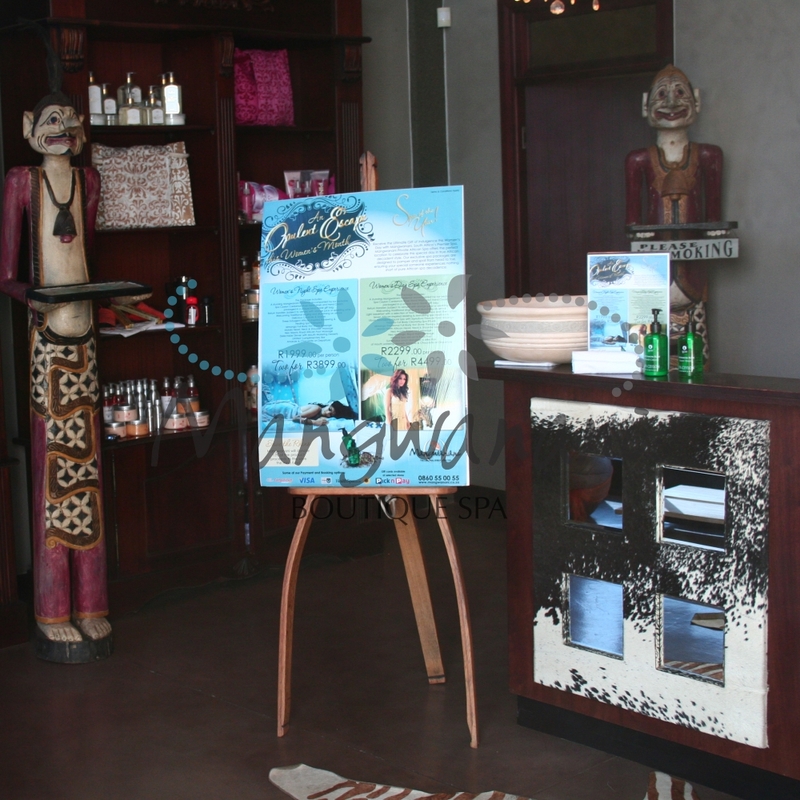 Escape to Mangwanani Ballito for three 60 minutes therapies which includes a Traditional African Full Body massage with hot stones, a royal African foot massage with cleansing ritual & exfoliation and a North African head, neck and shoulder massage. Go back home renewed and revived. R 1170 per person.